In a beautiful region like the Amalfi Coast, it’s tricky to name just one Insta hot spot, but we’ve done it! 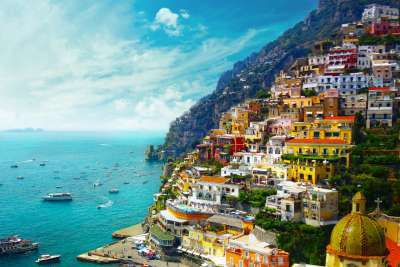 Built on the face of a cliff, the vertical town of Positano is packed with pastel-coloured cascading houses and an abundance of bougainvillea growing next to lemon groves. It’s a truly stunning backdrop for the beach (or a selfie) with its long expanse of golden sands and azure seas – this is where you can find that amazing Instagram view! 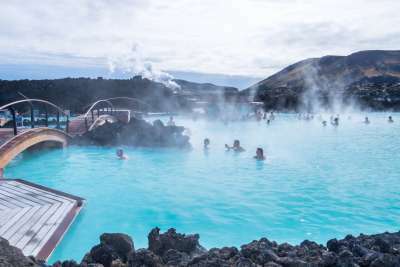 It’s safe to say that visiting the Blue Lagoon in Iceland is on just about everyone’s bucket list. Despite its name and the photos you may see splashed all over Instagram, the water in fact is not actually blue. It contains minerals such as sulphur and silicate that give it a milky-white colour, which then appears blue in the sun's reflection. Dip into the steamy waters, relax with a mud musk and capture that Insta-worthy shot of the breathtaking surroundings. It’s hard to take a bad photo in Havana, Cuba. The classic cars, colourful streets and historic buildings are a photographer’s dreamland. Even though the whole city is a visual treat, there are some spots particularly worthy of the ‘gram. 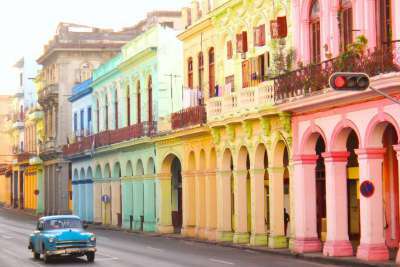 Head to the picturesque Plaza Vieja for an array of pastel coloured buildings, and then to one of Havana’s most iconic streets, the Malecón, where you can capture the skyline of Havana along with the beach at sunset. Lisbon in Portugal is home to a whole host of Insta-worthy photos. Meandering through the old town’s quaint streets is a great chance to explore the city and take some snaps along the way. The colourful azulejos, or tiles, provide pops of colour for a cute ‘gram, or snap the iconic trams as they climb up the narrow streets. 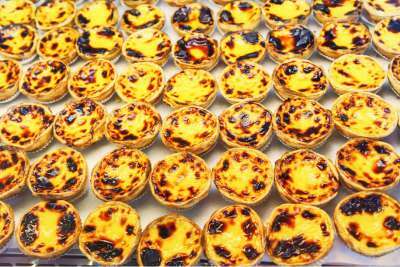 We couldn’t resist this snap of the delicious Portuguese custard tarts, pasteis de nata, a must if you're ever in Lisbon! 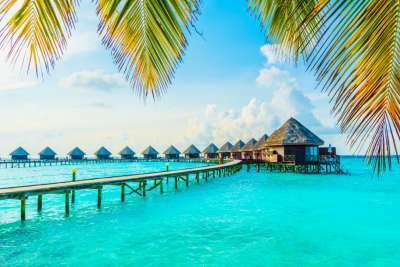 Known for its white sands, blue lagoons and extensive reefs, the Maldives are possibly the most Instagrammable islands on earth. If you’ve got a bit of extra cash hanging around and want to up your Insta-game, it is now possible to hire your own personal Instagram butler to help capture your travel snaps. But fear not, without a butler you’ll still be able to wow your followers with stunning remote beach views. For the ultimate Instagram that will rack up the likes, a hot-air balloon flight in Cappadocia will secure you amazing panoramic views. Striking cone-like formations known as fairy chimneys, created over time by erosion of volcanic ash, provide a remarkable photogenic landscape. 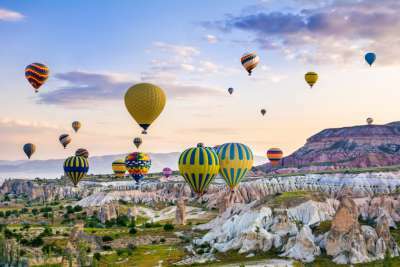 If you want to feel like you’re on another planet, or that you've just stepped foot into a fairytale, then add Cappadocia (in central Turkey) to your bucket list. 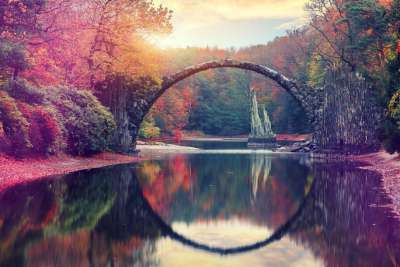 Tucked away in the depths of Germany’s Kromlauer Park is the arched devil’s bridge known as the Rakotzbrücke. This bridge was purposefully built to create a circle when reflected in the waters beneath it, which allows for an insane Instagram snap surrounded by leafy foliage. We recommend visiting in spring when the vegetation is lush, or in autumn when the leaves are all kinds of amber. Who doesn’t love a flawless Insta of nothing but stretches of white sand, palm trees and glorious turquoise water? Pure bliss! 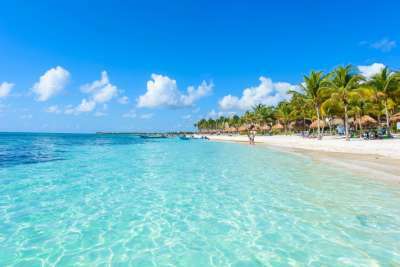 These idyllic beaches are precisely why people travel thousands of miles and take countless Cancun pictures for the ‘gram. For an impressive shot don’t forget your underwater camera for a sea turtle snap, or head on over to the compelling Mayan ruins in Tulum. Just a short ferry ride north of Malta lies the pretty little island of Gozo. 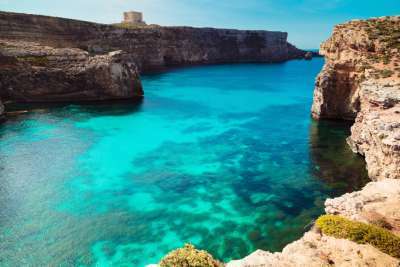 Packed with beautiful hamlets and stunning hidden beaches, visiting Gozo is a must. If you want to explore Gozo’s secluded beaches, then we recommend renting a car to reach those extra special spots. The Inland Sea, the lagoon of seawater that links the island to the Mediterranean Sea, is also a fantastic opportunity for a striking photo and easy to reach by public transport. 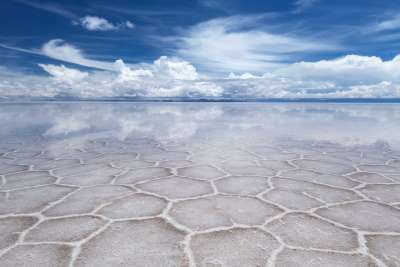 Salar de Uyuni in southwest Bolivia is the world’s largest salt flat. A visit here can make for an out of this world experience and an equally striking Instagram post. With an endless horizon, you can create some cool photos that play around with perspective. To take stunning reflection photos, visit during the rainy season from December to March when the rain hits the salt making it mirror-like. Despite being remotely located, reaching the salt flats is feasible thanks to the numerous tour operators.